The Chinese New Year brings luck and joy along with delicious foods that can be enjoyed all week long. Here are some traditional Chinese recipes that are perfect to serve the week of Chinese New Year. Also known as jiaozi, or potstickers are said to bring wealth and fortune in the New Year. These small pork and cabbage filled dumplings resemble the type of money that was used in ancient China. Therefore eating them during New Years is associated with future prosperity. 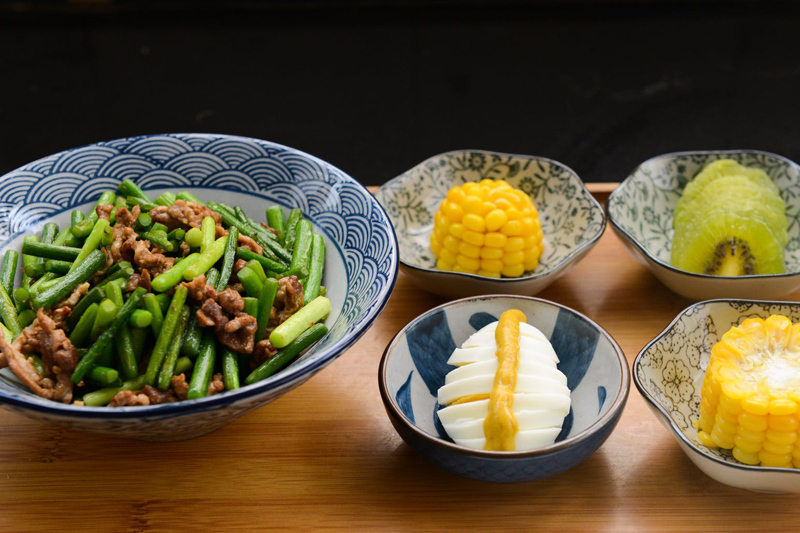 Longevity noodles are a traditional Chinese dish consisting of unbroken noodles that are mixed with vegetables or tossed into stew and served to bring long life in the New Year. This recipe combines snow peas, bean sprouts and water chestnuts which are tossed with Chinese noodles in a flavorful sauce. These noodles are to be both cooked and eaten without being broken. Whole fish is another traditional Chinese New Year’s dish. A whole fish is meant to bring prosperity in the New Year. In this recipe a whole trout is steamed and then topped with a delicious apricot sauce. This is the perfect dinner recipe to serve this week. Buddah’s delight is a vegetarian New Years’ dish that is full of symbolism and is made up of a mix of dried bean curd, mushrooms, lily flowers, bean thread noodles, bamboo, water chestnuts, cabbage, and snow peas. Most of these ingredients in this recipe represent health, joy and happiness for the New Year. Deep fried balls of dough that are filled with a delicious sweet sesame paste make the perfect ending to a Chinese New Year dinner. This delicious dessert is also know as Jin deui and are said to bring prosperity into the upcoming year. This decorative dessert is simply a mound of sweet rice that is decorated to perfection with maraschino cherries, lotus seeds, and raisins. Serving this for the New Year is said to bring about good luck and fortune.